27/Jul/2017 Posted By admin no comments. more data, at an unprecedentedly faster clip! devices and sensors, mean that, traditional analytics approaches, need a relook. can simplify things, instead of aggregating at a server level. affected, security and reliability are the key factors. step further to automate the processes based on the analytics? different quarters might not need data stored per millisecond! business problems for our clients! 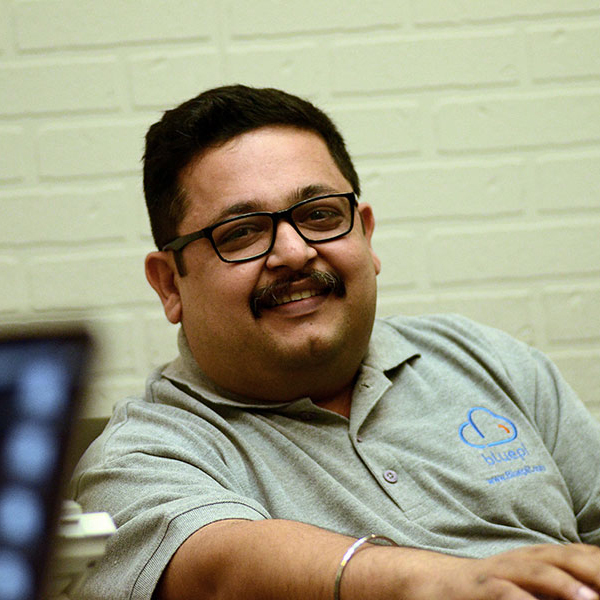 With over 12 years of experience across multiple roles in client delivery and app development; Gaurav developed a stronghold in analysing the requirements of legacy applications, before eventually switching over to database design & development and taking a fancy to the cloud. Having completed Masters in Computer Applications (MCA) in 2004 from Institute of Management and Technology, Faridabad; he’s been associated with leading brands like Hewitt Associates, ACS (A Xerox Company), and Cognizant, before joining BluePi in 2014. Under his leadership, BluePi has built a suite of custom products designed exclusively for Media & Entertainment businesses. The suite, piStats, takes care of all digital needs of a contemporary media entertainment business. From a custom CMS, to immersive user experience via mobile & web applications, tools to manage digital assets, analytics and recommendations – piStats does it all.